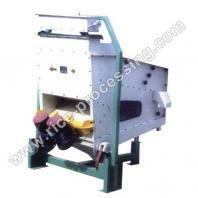 CSQZ Series combined cleaner consists of two procedures, cleaning and de-stoning. It is the ideal equipment for removing big or small impurities and stones from raw grain, rice, wheat, corn, soybean, sesame, etc. for grain processing plant or flour mill. 1.Good mechanical performance, compact structure, small floor space. 2.Low noise, easy to operate, convenient to maintain. 3. High cleanness efficiency, low energy consumption. 4.Well-sealed construction, no dust leakage, dust and light impurities can be removed by air suction system. 5.Different sieves driven by two vibrating motors, suitable for cleaning large and small impurities. Our company is specialized exporter, manufacturer and supplier of CSQZ Series Combined Cleaner in 中国.